Posted on 26, September 2016 by EuropaWire PR Editors | This entry was posted in Defence, Industrial, Italy, Management, Marketing, Security & Safety, Technology and tagged "Cybertech Europe 2016", Colin & Partners, Leonardo-Finmeccanica, “Cyber ASC” insurance policy. Bookmark the permalink. ROME, 26-Sep-2016 — /EuropaWire/ — Leonardo-Finmeccanica will propose a new national organization dedicated to information security, to Industry at the prestigious international forum “Cybertech Europe 2016” which takes place in Rome on 29 September. This new public/private partnership project in cyber security will be similar to the “European Cyber Security Organization” recently set up by Leonardo and other industrial and institutional partners, bringing together players and institutions with the aim of creating synergies with European investment programmes and ensure significant growth in the sector. Today the cyber security market in Europe is worth 25 billion Euro, 2.4 billion Euro in Italy, with an estimated 9% annual growth in the next five years. Following the previous edition held in Tel Aviv which was attended by over 10,000 delegates from 50 countries and hundreds of exhibiting companies, Cybertech the largest event in the field of cyber security outside the United States, will be held for the first time in Europe, in the Italian capital. The main topics at the conference will be safety for citizens and organizations in the context of the digital transformation, cooperation at European level between countries and between the public and private sector, as a means to increase safety, technological innovation, strategies and investments for the development of the European cyber security industry. There will be a special focus on SME’s, universities and start-ups. In addition to drawing on its thirty years of experience in defense and security technologies which have allowed it to develop expertise and products to manage the cyber threat, Leonardo will participate in the initiative presenting important new developments. The company will produce an annual report with specific quarterly updates, which will monitor the degree of exposure to the dangers of the web to the main macro-economic sectors; this will report on the potential methods of attack and the measures to be implemented in order to reduce the risk, based on the information detected on the network. Leonardo will also present its new “Cyber ASC” initiative, an insurance policy to protect SMEs and professionals from IT risk, developed together with ASSIPROJECT, a consultancy in the insurance and financial sector, and Colin & Partners, a management consultancy specializing in new technology law. Leonardo provides customers with a wide range of cyber security services, from assessment and preliminary analysis of the information risk to periodic reports that alert the customer of anomalies and major threats detected on the network. Recent surveys show that 80% of Italian companies have been the victim of IT violations over the past 5 years, and 33% fear that it might happen again. With dedicated infrastructure in Italy and the UK, Leonardo is technological partner with government institutions and commercial and financial organisations, for activities related to the prevention, monitoring and management of cyber security. Leonardo also partners with a number of institutions and national and international networks active in the sector. 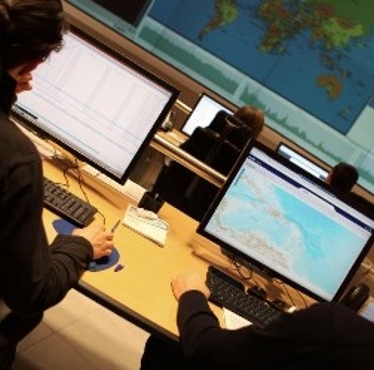 Leonardo gained key experience through the NATO Computer Incident Response – Full Operational Capability (NCIRC – FOC) programme, able to guarantee cyber security of information and ICT infrastructure across 52 NATO sites across 29 different countries. Operational since May 2014, the programme is in continuous expansion and represents the biggest initiative in this sector ever developed outside the US. In addition, the UK Ministry of Defence recently chose Leonardo to protect its networks from attacks and IT incidents. Another important project managed in Italy by Leonardo is the “SPC Cloud and Security” contract, valid for the next five years, providing the departments of the Public Administration that will subscribe a series of services for cyber protection and monitoring of infrastructure and applications.